My bff Allie got this print for me for Christmas, and it's nearly the cutest thing ever. 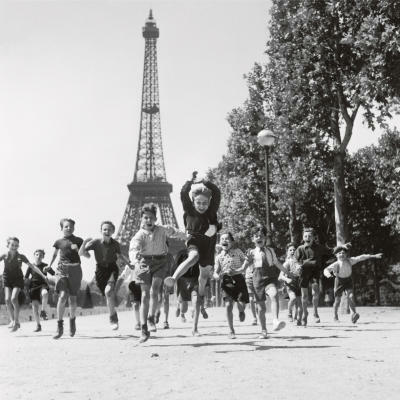 It's a photo taken in the garden of the Champ de Mars in 1944 by French photographer Robert Doisneau. The sweetest part is that she saw it in a magazine and said "oh that's Alli! ", so she saved the magazine tear and gave it to me on Christmas day (we love to exchange magazine tears). The actual print was still on its way from the UK, but next time she comes over we'll find the perfect place for it. What a thoughtful and fun gift! That print is so cute. So fun! Love the look on every single one of the littlies faces!